While this year we may be losing the epic battle against the harsh cold and constant snow in Cruel Winter’s arsenal, we may have just claimed the upper hand for next year. Just last week, Ford announced the F-150 snow plow prep option across all cab configurations—Regular, SuperCab, and SuperCrew—on the XL, XLT, and Lariat trims for the 2015 model. (Ford is the only automaker to offer this across all configurations.) This means that all appropriately powered F-150 configurations will come with an optional snow plow added on aftermarket, just in time for us to fight back next winter. 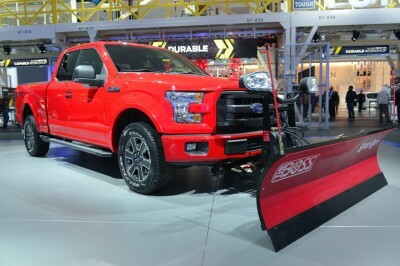 The F-150 snow plow prep option package requires the 5.0-liter V8 engine with four-wheel drive, solely because it takes a lot of power to fight back against old Jack Frost. On the bright side, however, the package will allow drivers to plow over 450 pounds. Pricing for the F-150 snow plow prep option will be announced later this year before the 2015 F-150 arrives at dealers in the fall. 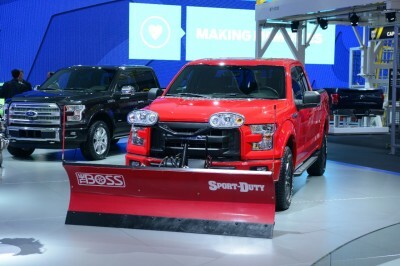 Drivers who are interested package will need to take their F-150 to a Ford Qualified Vehicle Modifier, where the plow hardware can be purchased and installed.